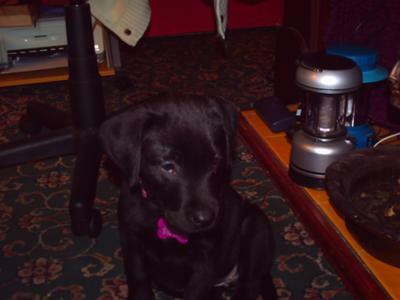 I got my lab Blacky 6 weeks ago she is now 13 weeks old. She is a real handfull but is already house trained. there are plenty of long walks where we are so she wont go short.